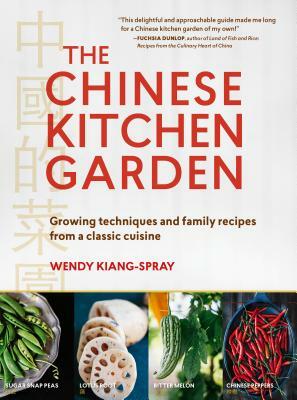 The Chinese Kitchen Garden, by Wendy Kiang-Spray artfully blends the story of her family’s cultural heritage with growing information for 38 Chinese vegetables and 25 traditional recipes. Organized by season, you’ll learn what to grow in spring and what to cook in winter. You’ll find complete growing information for vegetables you may not have considered growing, including lotus root, bamboo shoots, tatsoi, and luffa gourd. The 25 simple, yet delicious recipes—for congee, dumplings, stir fry, and more—beautifully highlight the flavors of the vegetables. Wendy Kiang-Spray’s articles about gardening and food have appeared in national, local, and web publications. Besides being a passionate gardener, she is a high school counselor, garden speaker, and volunteer with the D.C. Master Gardeners. Wendy blogs at greenishthumb.net.